Batter up! 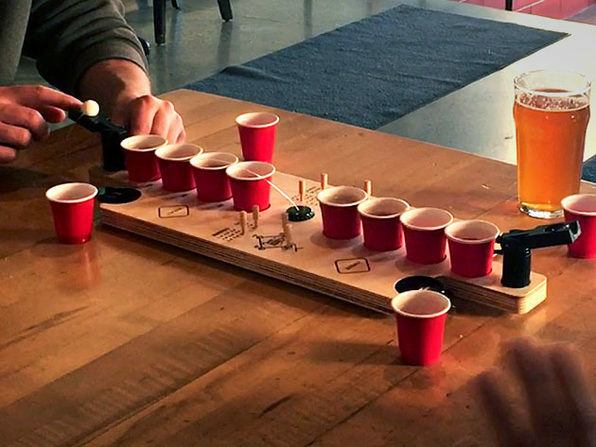 This tabletop drinking game combines mini beer pong and flip cup to make for a memorable party experience. 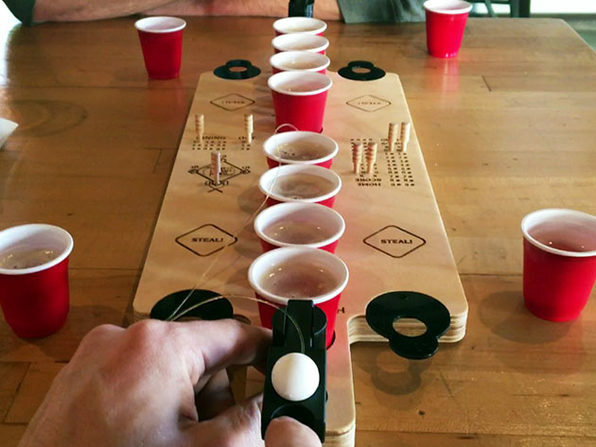 Shoot a tethered ball into the red cup to get on base and score runs, but if you miss your shot, you're out. 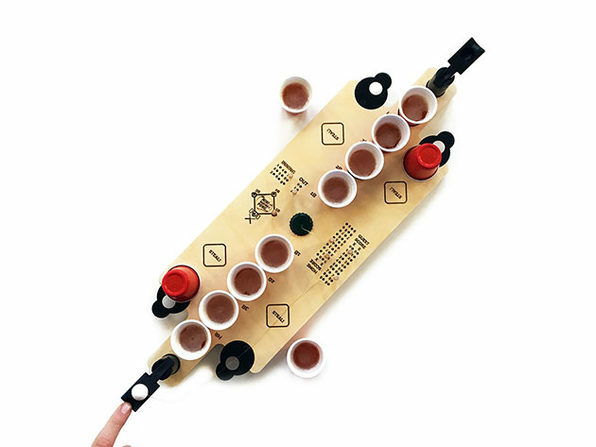 Plus, if you're feeling bold, you can try to steal another base by drinking a side cup and flipping it, but you have to act fast, as the defender can get you out by doing the same!